I’ve been intrigued by home movie projectors for a while now. I always though that if they had been around when I was at uni, it would have been a better investment than a normal TV. Especially give the little amount of space I used to have in my student flat! So when I got asked to review the BenQ W2000 projector, I knew this was finally a chance to try out and see one of these devices up close. Initial thoughts: it’s a little bit bigger than I expected, but I’m really liking the picture quality of it! And the setup seems pretty easy so far. Turn on, plug in and that’s it. Compared to other projectors I’ve used in the past, the warm-up time of the W2000 was also quite quick: seconds rather than minutes. I’ll be writing up a full review in a few weeks time – I’d love to hear what other questions people have? 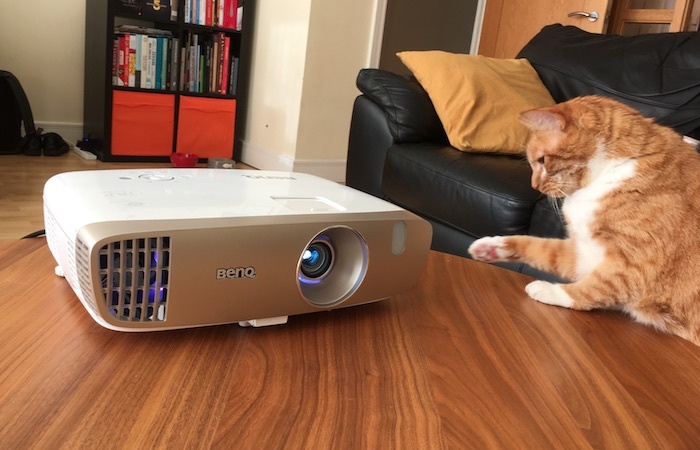 What do you want to know about this projector?